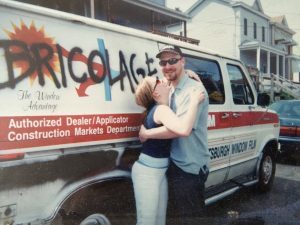 Bricolage Production Company was founded in 2001 by Jeffrey Carpenter, a native Pittsburgher and graduate of NYU’s Tisch School of the Arts. His inspiration for the company was based largely on the environmental philosophy of Claude Levi Strauss, who used the term ‘bricolage’ to mean the innovative use of what’s at hand. In our inaugural years, we were a nomadic company, producing site-specific works in various locations, like an abandoned church (Wild Signs), an old firehouse (Biedermann and the Firebugs) and the boiler room of a long-defunct brew house (Holler). Dubbed from the beginning as “artistically ambitious” and “adventuresome” by the Pittsburgh Post-Gazette, we were fueled by the idea that ‘what’s at hand’ wasn’t limited to the material world, and that a big budget wasn’t the only path to quality theater. Our early work introduced us as a company not afraid of taking risks, and that mission-driven spirit of adventure is something we would spend the next 10 years putting to the test. Satisfaction with the status quo has never been our motto. In 2005, Tami Dixon, a graduate of Carnegie Mellon University’s School of Drama, joined the company as Producing Artistic Director just as we were moving into our permanent home: a former Turkish bathhouse, at 937 Liberty Avenue in Downtown Pittsburgh. Tami brought with her a vision for inclusion and engagement. 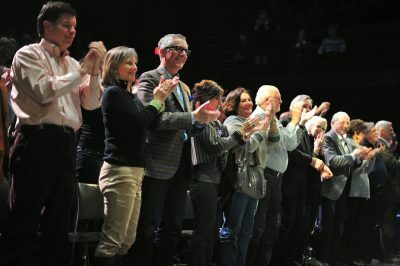 No longer itinerant, we continued to produce new and exciting theater, but with a renewed focus on audience engagement. We often say, “without an audience we’re just rehearsing,” understanding that the audience is a vital part of the artistic process and crucial to the culminating experience. Our engagement methods took on a variety of forms, from the very simple act of asking patrons to vote on the plays they wanted to see in full production (Staged Reading Performance Series), to encouraging audience members to close their eyes and experience the work through alternate senses (Midnight Radio), to making room for patrons to contribute material for a devised process (In the Raw) or inviting them onto the stage to tell their own stories (WordPlay). It was only a matter of time before we broke the fourth wall altogether and ventured into the world of immersive theater. In 2012, we convened a group of dynamic collaborators, and took audience engagement to an exciting new level by creating STRATA, the world’s first Strategic Training Resource and Testing Agency. In STRATA, Pittsburgh’s premier “re-fitnessing” center, solo participants traversed a series of personal encounters designed as tests, in an effort to achieve what in the world of the play was termed “iConsciousness.” Described as the “most ambitious production in local theater history” by Pittsburgh City Paper, the production garnered unprecedented attention and catapulted Bricolage onto the national landscape with a cover story in American Theatre Magazine. Since then, Bricolage has become a key voice in the national conversation about this new frontier of adventurous theater. In 2015, we were invited to make our West Coast debut at La Jolla Playhouse’s Without Walls Festival (WOW) with our immersive production, OjO: The Next Generation of Travel. This production took audiences on a perspective-altering journey by removing their sight and launching the participants into a world where their other senses led the way. The show became the hit of the festival and was noted for its innovation by the Wall Street Journal, sparking a series of blog posts in HowlRound and American Theater Magazine. We continued the practice of creating groundbreaking work with our nextimmersive, Welcome to Here, a piece made specifically for children with Autism Spectrum Disorders (ASD), which engaged ASD community members as creative partners and guides. In the fall of 2016, we launched our highly anticipated immersive escape room, Enter the Imaginarium. The fall of 2017 sees the launch of our newest immersive production, DODO. Produced in collaboration with the Carnegie Museums of Pittsburgh and staged within its historic Oakland facility, DODO is the company’s largest immersive production since STRATA, and aims to explore and change the relationships museum patrons have with the museums themselves.